How to Develop a Business Plan? Business development plan development is a serious and time consuming process. Such projects are written in one night only in the films. In real life academic and real business plans are written during weeks with the involvement of different departments and several reports. Developing a business plan, one has to study the work of different departments and to pay attention to the strategy of each. The development of a business plan should be conducted in several stages, which are going to be enumerated below. The first stage is an executive summary where one has to present a short statement of the whole business plan strategy. This part is usually one page maximum with a short reference to each oof the parts of the business plan. The third stage is the presentation of the market analysis. At this stage, a business plan developer should study the business industry, market and competitors. This analysis should involve the work of different departments. The fourth stage is the analysis of the organization and its management. Depending on the company specifics, the organization and the management structures should be highlighted. This part is important in business plan. The fifth stage in business plan strategy is usually devoted to services and/or product line. It is important to discuss what the company produces and sells, why the customers select this particular brand, its product lifecycle. The plans for company marketing and sales strategy are usually considered at the fourth stage of business plan writing. This information is helpful for forecasting the future actions and performances in the company. In case of searching for additional funds, the business plan should contain the funding request, which clearly shows the need for funding and the advantages of the financing for both sides. The funding request should be supported with financial projections. All the detailed financial schemes and reports should be provided in the appendix. Appendix is an important stage in writing a business development plan. 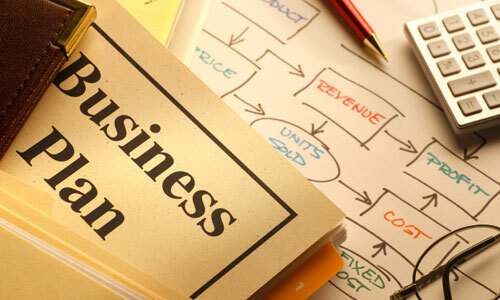 Writing a business plan one is sure to refer to different schemes, tables, resumes, and other similar attachment. Extended information cannot be written inside the plan, it should be better attached at the end.